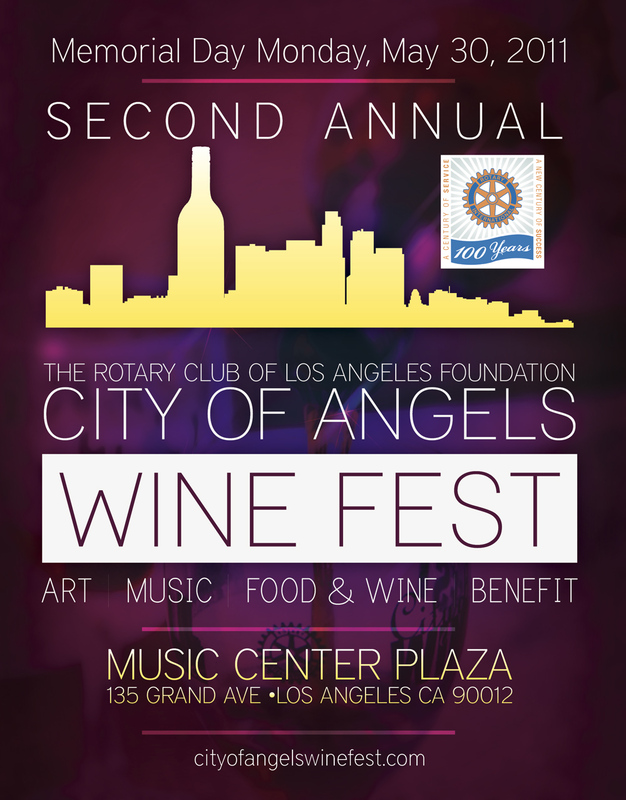 The Second Annual City of Angels Wine Fest is coming to the Music Center in DTLA on Memorial Day, Monday May 30, 2011 from 1:00 p.m. to 6:00 p.m. The Wine Fest is sponsored by the Rotary Club Foundation and is a fundraiser for Volunteers of America, an organization that is devoted to helping the homeless, Veterans, those released from prison and the elderly improve their quality of life. Not only can you help the community and Veterans on Memorial Day but you can salute the sacrifice of those who served to protect our country by enjoying the bounty of this great state. Almost 30 California wineries will be participating in the Wine Fest, including Rodney Strong, Malibu Wines and more than two dozen others. Attendees will not go hungry as tastes will be available from local restaurants Nick & Stef’s, Café Pinot, Kendall’s Brasserie and Tina Tacos. All can groove to the live performances by Ours and The Family Crest as they sip and munch and enjoy the day. As this is a fundraiser, it is not free. The prices are $25 for 4 food tickets, $70 for 4 food tickets with unlimited servings of wine, and $150 for all you can drink and eat with Foundation Room VIP access. Be generous.